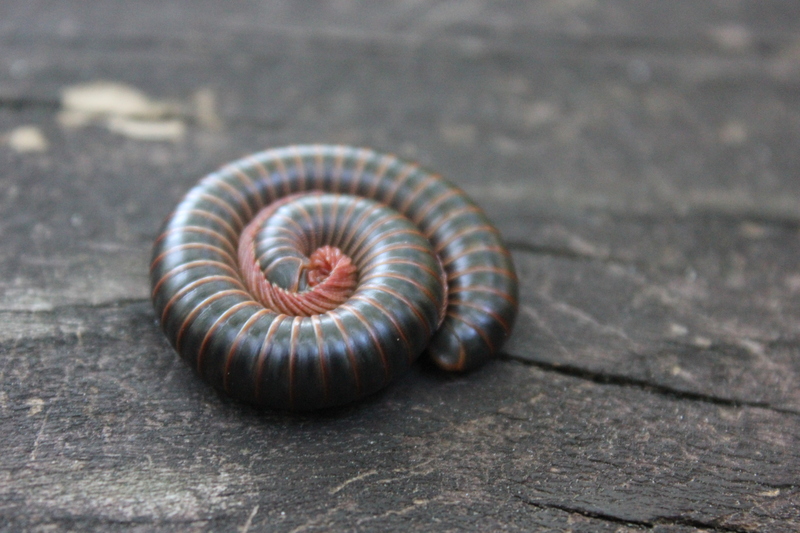 I haven’t photographed any witches or ghosts lately, but here’s a giant millipede from last weekend’s walk. Witch and Ghost walk hand in hand. They pass Black Cat, sleek and grand. A tree branch rattles. Cold winds blow. But Witch and Ghost have far to go. Their shoes clip clop on long, dark roads. Their backs are bent with heavy loads. Witch climbs the steps. She pulls the gate. Ghost slips through. They can’t be late. They hear a cackle! A spooky shriek! A dark door opens with a creak. Witch grips her broomstick. In Ghost glides. What frightful sights await inside? 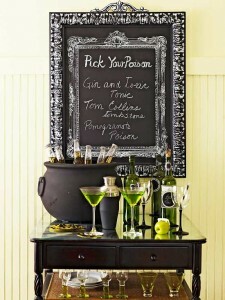 Are you suffering from a Halloween hangover? Waltz on over to Teacher Dance where Linda Baie is hosting Poetry Friday and treat yourself to a healthy dose of poetry. 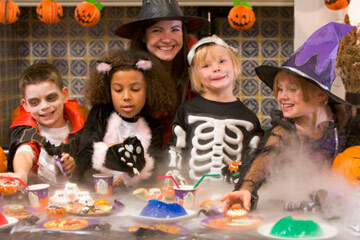 This entry was posted in Uncategorized on October 29, 2013 by Buffy Silverman. Hoppy Friday! I’m happy to host Mortimer at my blog this week. Thanks to B.J. Lee for sending Mortimer my way after he visited the Blue Window. 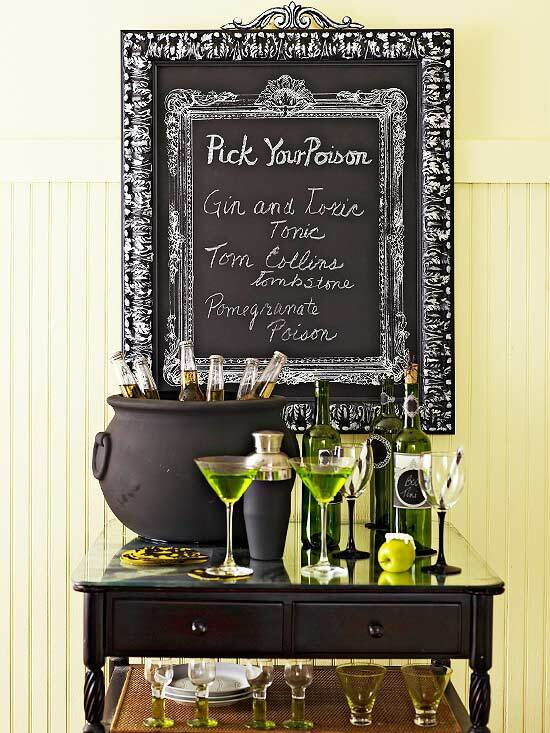 Here’s how to hop “Mortimer Minute” style! Mortimer and I have had a lovely chat. I tried to steer the conversation, but Mortimer is a bunny-in-charge. Welcome, Mortimer! You aren’t responsible for the shredded lettuce I passed on my walk today, are you? Mortimer: Ahem. I will ask the questions! And here’s my first one: Is there a children’s poem that you wish you had written? –Douglas Florian, “The Ticks” from Insectopedia, all rights reserved. Mortimer: Ticks! Fantastic!? Keep those blood-suckers away! Here’s my next question: Don’t you have any itch-free poems that you admire? –Kristine O’Connell George, “Polliwogs” from The Great Frog Race, all rights reserved. Don’t you love those chubby commas, Mortimer? 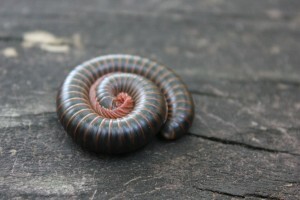 Mortimer: I do love critters that huddle and snuggle. But how can you huddle and snuggle with slippery tadpoles! Perhaps you should write about cute, furry animals if you want to inspire a sense of wonder….you know, poems about bunnies! And that leads to my final question: Are there any word-playful, wonderous poems about bunnies that inspire you? I know just the poem, Mortimer. I think you’ll enjoy “Rabbit,” by Mary Ann Hoberman. Because he liked the taste of it. –Mary Ann Hoberman, “Rabbit” from The Llama Who Had No Pajama, all rights reserved. Hop over here and scroll to page 18 to read the rest. Mortimer: Well that’s more like it! And who have you invited to hop next Friday? I’m pleased to tag my pal Debbie Diesen. Debbie is the author of the Pout-Pout Fish, a NY Times best-selling rhyming picture book, and an ever-growing list of Pout-Pout sequels. Picture Day Perfection, her latest gem, is full of picture day mayhem. 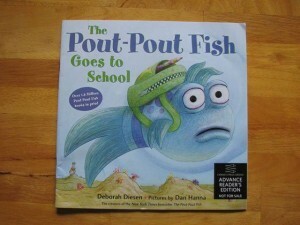 A new pout-pout arrives next summer! 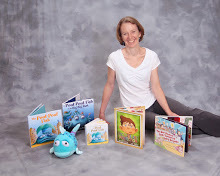 Debbie is an incredibly generous author, sharing the spotlight with other authors through the Michigander-Monday feature on her blog. And rumor has it that she likes bunnies! Wiggle your whiskers and visit Laura Purdie Salas for today’s Poetry Friday Roundup. This entry was posted in Uncategorized on October 11, 2013 by Buffy Silverman. Toto, I’ve a feeling we’re not in Michigan anymore. 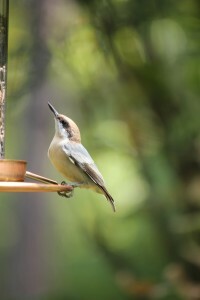 I shot these photographs at the birdfeeder in my backyard this week. 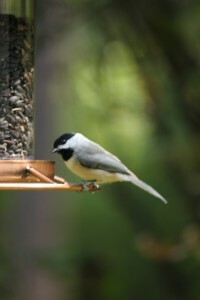 A Carolina chickadee at our backyard feeder. Who is that tiny chickadee…and that strange little bird with the brown cap? Why it’s a Carolina chickadee sharing feeder space with his pal, the brown-headed nuthatch. 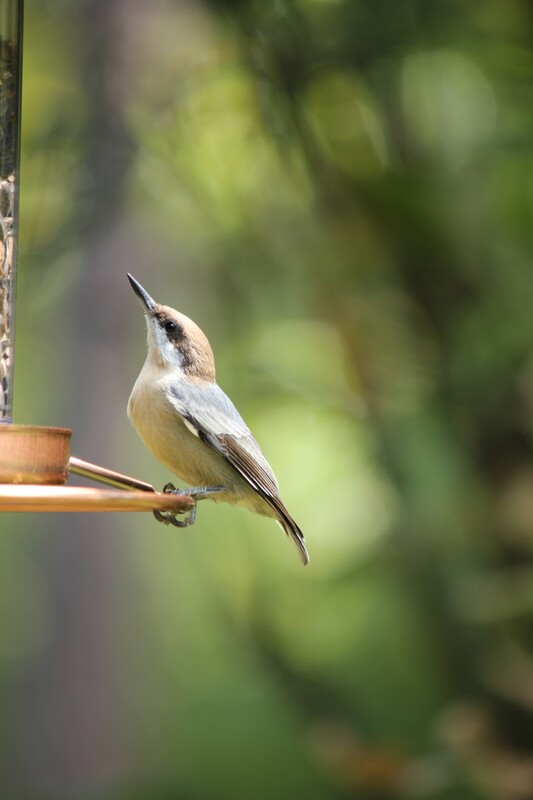 Brown-headed nuthatch on the same feeder. Like the chickadee, I am in Carolina (North, that is.) My husband has a sabbatical from September-May, and we are settling in for our southern sojourn. It’s hard for me to call a place home where I don’t recognize trees and birds, but I’m learning. On one of our evening strolls we were staring at a huge tree and wondering what the heck it was. Me: Those leaves look like willow leaves. Husband: But the tree’s massive like an oak. Google: You’re both right–it’s a willow oak. Not to mention the rhododendron looking-thingies on steroids, that tower above houses! Google tells me they might be Rhododendron maximum, aka Great Rhododendron. And speaking of towering, loblolly pines grow everywhere. Staying in North Carolina has made me wonder about where I’m from. For the past 17 years, it’s been Michigan, although I’ve never called myself a Michigander. But in North Carolina, Michigan feels like home. This past weekend I attended the SCBWI-Carolina conference (which was great) and when asked where I was from, I answered Michigan. One person asked where I grew up. When I said Massachusetts she labelled me a Yankee. I wondered what my Jewish grandparents who emigrated from Eastern Europe would have made of that–but that’s how she saw me. pounding and pinging like summer hail. daring to touch mossy ground. a steady drone, a highway near. 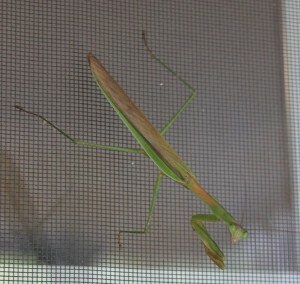 Praying mantis on our kitchen window screen. 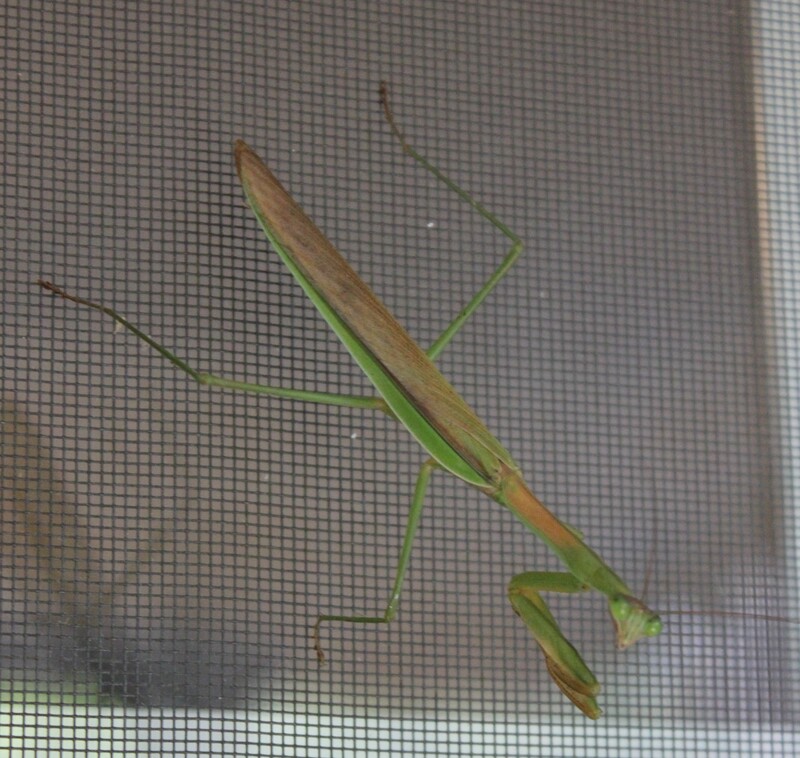 This handsome fellow was about 5 inches long. I moved the mantis to a more photogenic background. 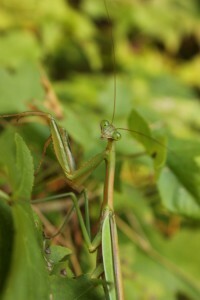 S/he patiently posed for many shots. Head over to Dori Reads for this week’s Poetry Friday Roundup. This entry was posted in Uncategorized on October 4, 2013 by Buffy Silverman.